Bridger Bowl is a unique ski resort in every sense of the word. This nonprofit ski area (since 1955) has been recognized for its sustainable business model while also being known as one of the best ski resorts in North America. Bridger Bowl offers a big mountain experience with a friendly local's vibe. With 4 new lifts and one new lodge built since 2008, Bridger Bowl offers a very modern and service friendly destination ski experience. Our newest two lifts and Alpine Cabin provide an exceptional experience for beginner/intermediate level skiers and snowboarders with over 500 acres of improved terrain access on the north side of our ski area. 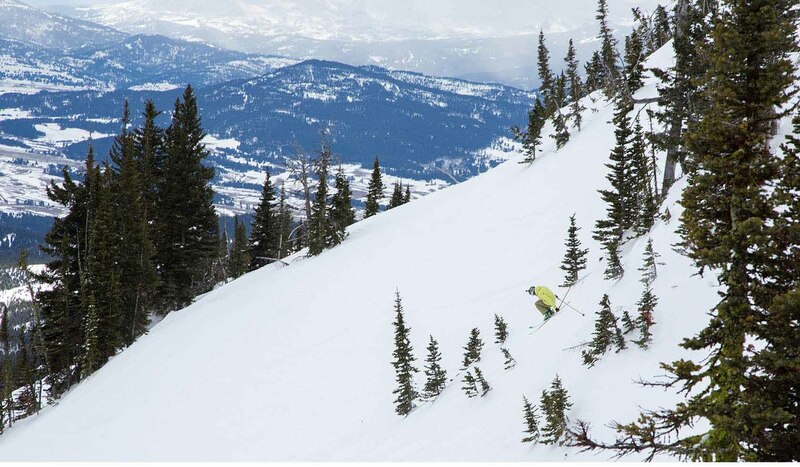 With lodging in nearby Bozeman, this area boasts the best value ski packages in North America!